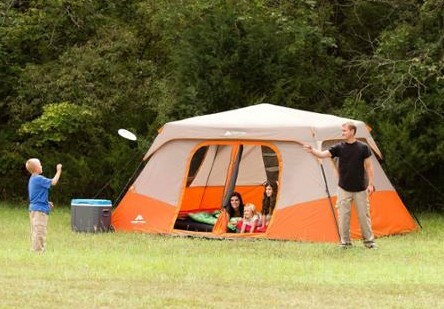 Ozark Trail 8 Person 2 Room Instant Cabin Tent with 2 Bonus Queen Airbed Bundle only $139, FREE Shipping! Right now at Walmart.com, you can get this Ozark Trail 8 Person 2 Room Instant Cabin Tent with 2 Bonus Queen Airbed Bundle for only $139! That is a savings of 23% off the regular price. This tent alone normally sells for closer to $180! So with the 2 bonus airbeds this is a great deal. This bundle would make a great gift for the Dad who loves to camp this Father's Day!